STAMPERS ANONYMOUS-Inky Antics: Clear Stamp Set. The beautiful designs of these clear stamps are great for all your paper crafting projects. Use them with any acrylic block and see exactly where the image will be placed on the page. 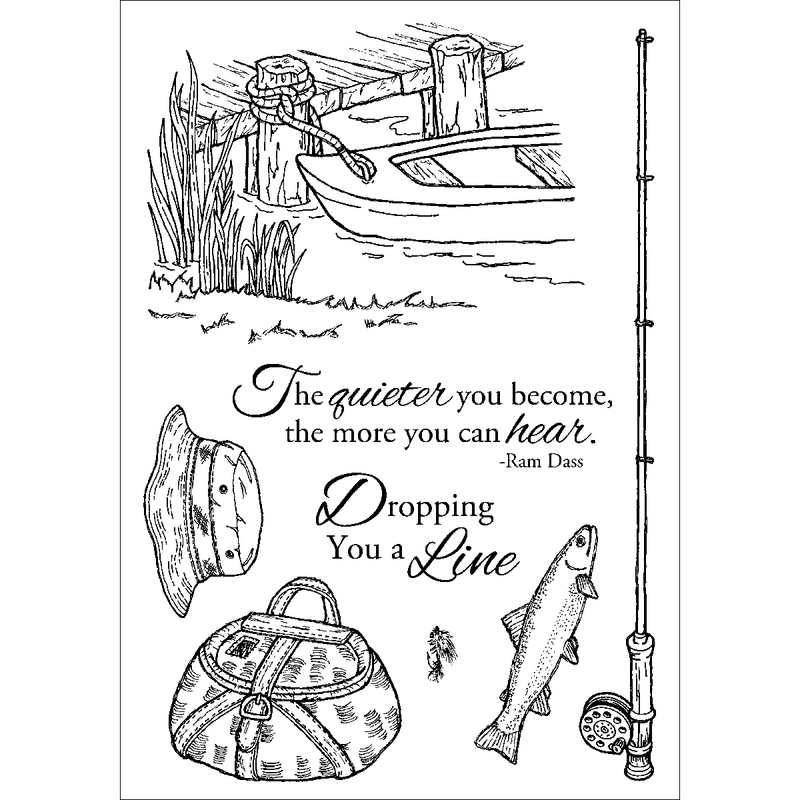 This package contains Fishing Favorites: a set of eight stamps on a 6x4 inch backing sheet. Made in USA.